​The Salon Magazine: Glasshouse Salon’s Olivia Crighton on the power of organic hair care, October 2015. 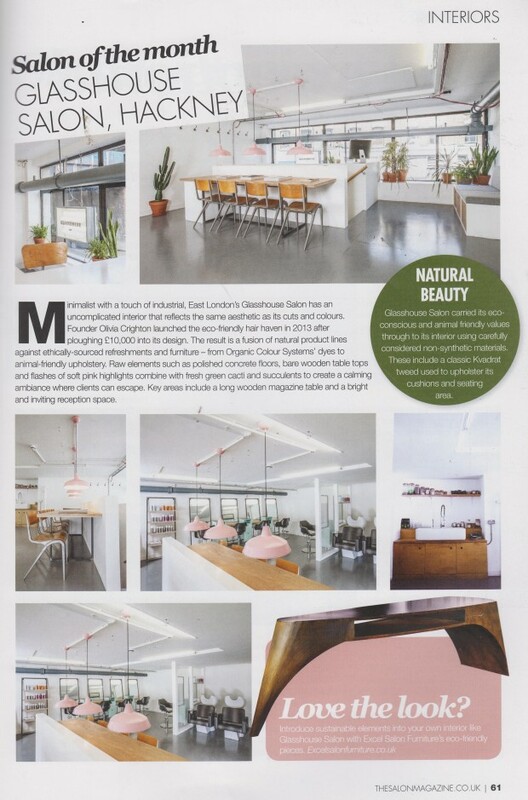 ​Glasshouse was featured in the interiors section of The Salon Magazine as their Salon of the Month, February 2016. “Minimalist with a touch of industrial, East London’s Glasshouse Salon has an uncomplicated interior that reflects the same aesthetic as its cuts and colours”.